After her Annunciation, Mary is energized. 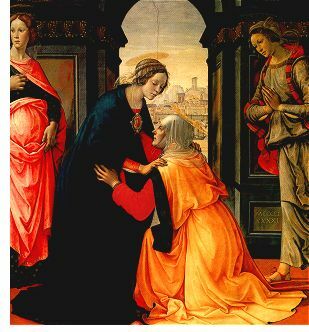 "She rose and went with haste to the hill country, to a city of Judah, and entered the house of Zacharias and greeted Elizabeth," her elderly cousin miraculously pregnant with John the Baptist. This amazing prayer of joy became known as the Magnificat, the text for much great religious music and poetry, as well as prayer.